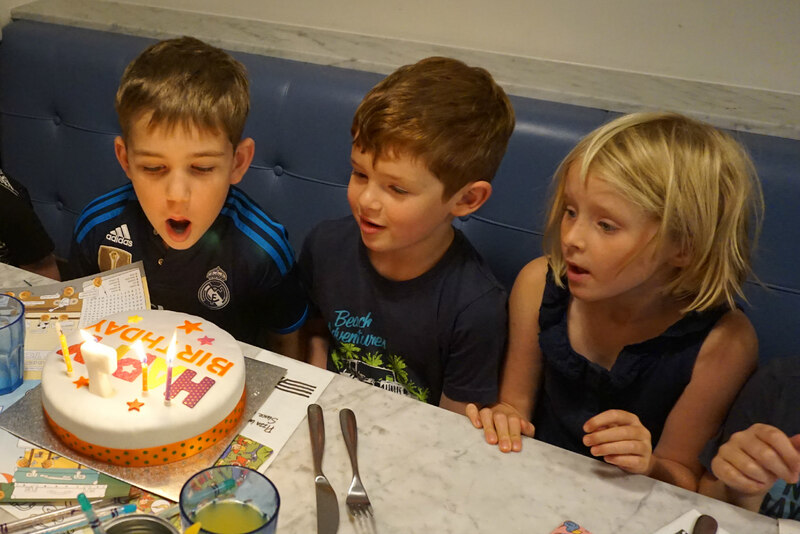 It’s been a big week for Family Agar, with my mum turning 65, my father-in-law turning 80, my 9th wedding anniversary, and of course, Alex’s 7th birthday! Phew. What a lot of cake! 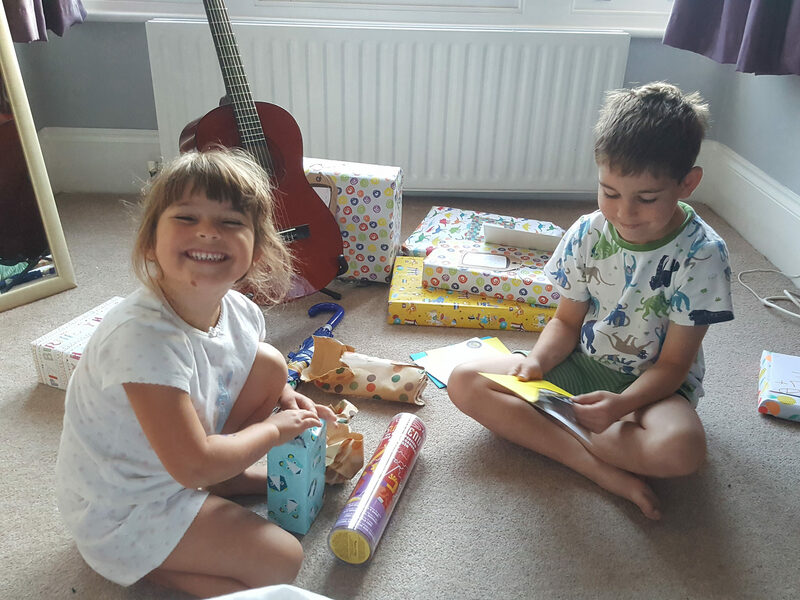 Alex had a wonderful seventh birthday, celebrating over a number of days to make the most of it! 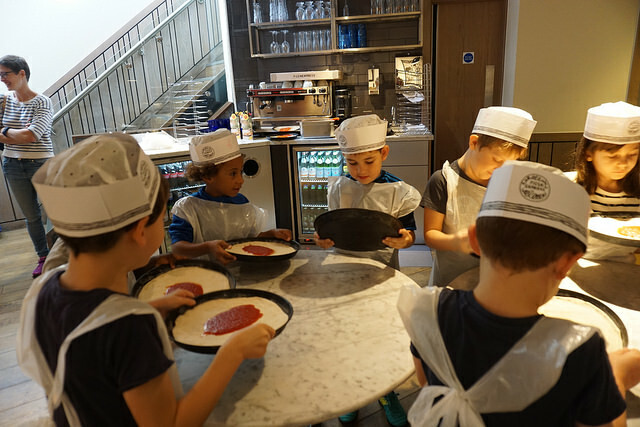 Last weekend was his birthday party and this year, he chose to have a Pizza Express pizza making party. So, along with 12 of his friends, we found ourselves working hard to make our own lunch! 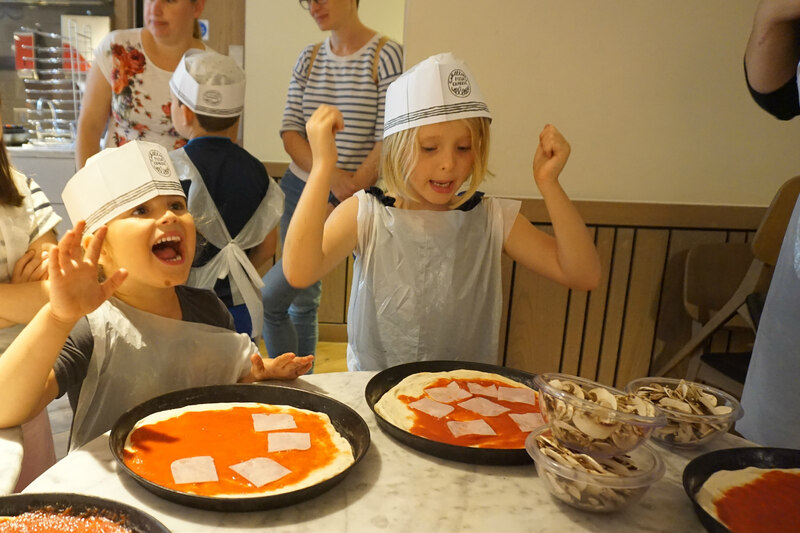 It was remarkable how focused everyone was as they carefully flattened their pizza bases – I’ve never seen children so quiet at a birthday party! 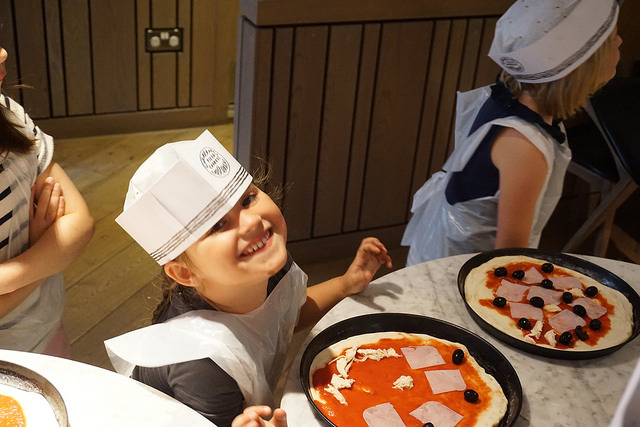 And here’s Sophie very excited about adding her toppings! She was very proud of her smiley face pizza creation! It was a really simple idea for a party, but the kids loved it! 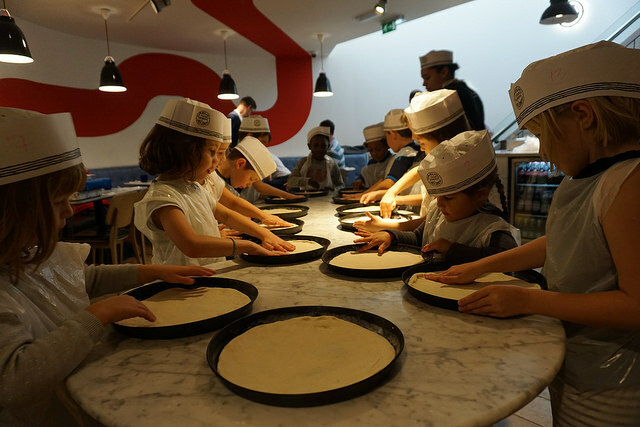 The Pizza Express team did a great job ensuring that there were enough dough balls to occupy the kids until their creations arrived – and making sure everyone got their own pizza back! And how they enjoyed eating them! We left just enough room for cake, and Alex got plenty of help from his friends to blow out his candles! He celebrated his actual birthday on Tuesday. He was so excited running into our room first thing to open his presents, and was so very lucky. 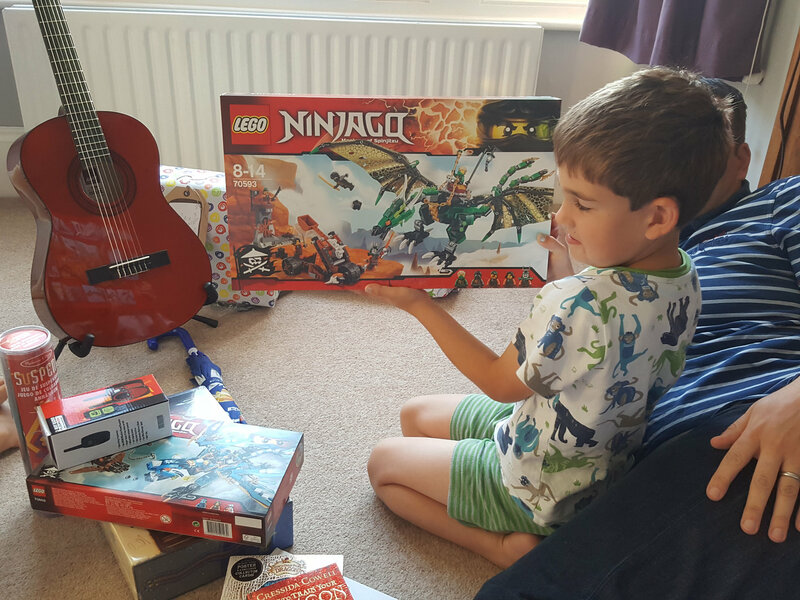 We now have enough lego to keep him occupied for days, magic tricks, lots of gorgeous new books, walkie-talkies and, best of all. a guitar and lessons!! 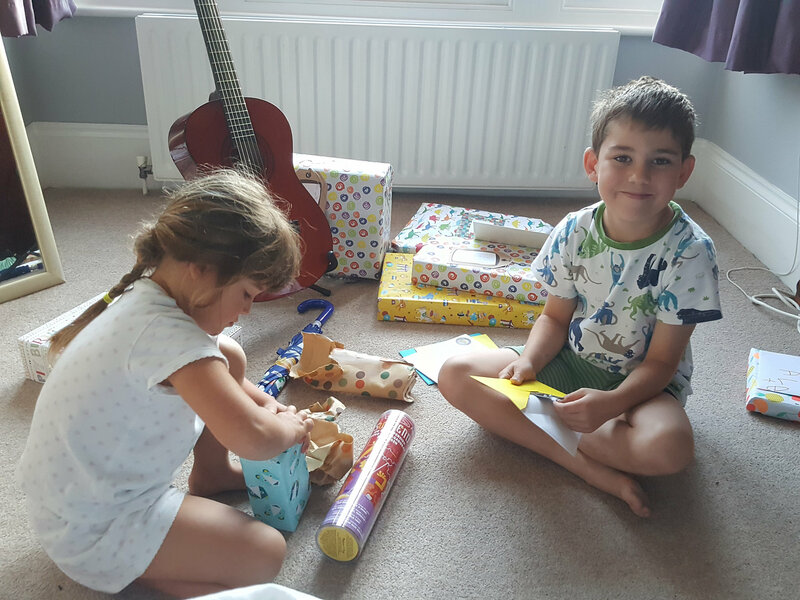 Despite his excitement, he was generous enough to let his little sister share the unwrapping duties. I wonder if she’ll do the same in October! He had a great day at school on Tuesday, even managing to get on the ‘brilliant behaviour’ board in class. 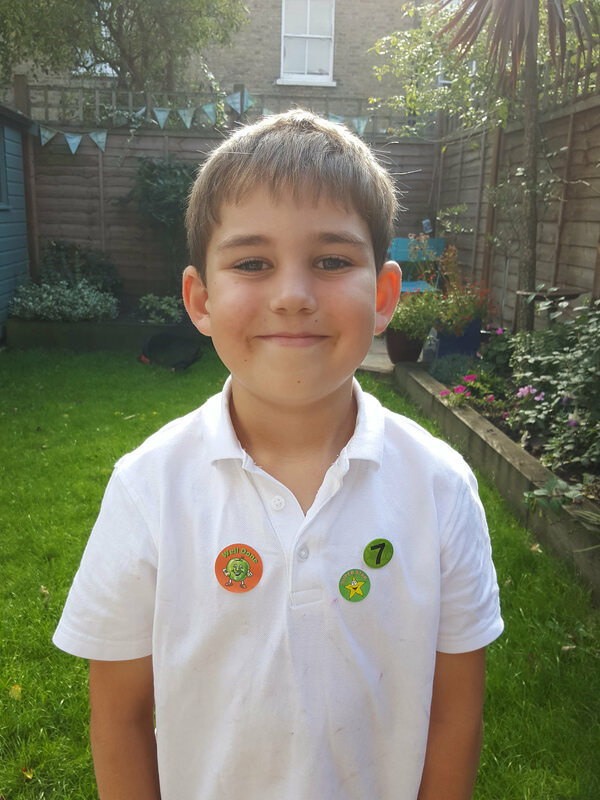 This is a dreadful photo, but he was so proud of his good behaviour stickers after school, I didn’t want to forget it! 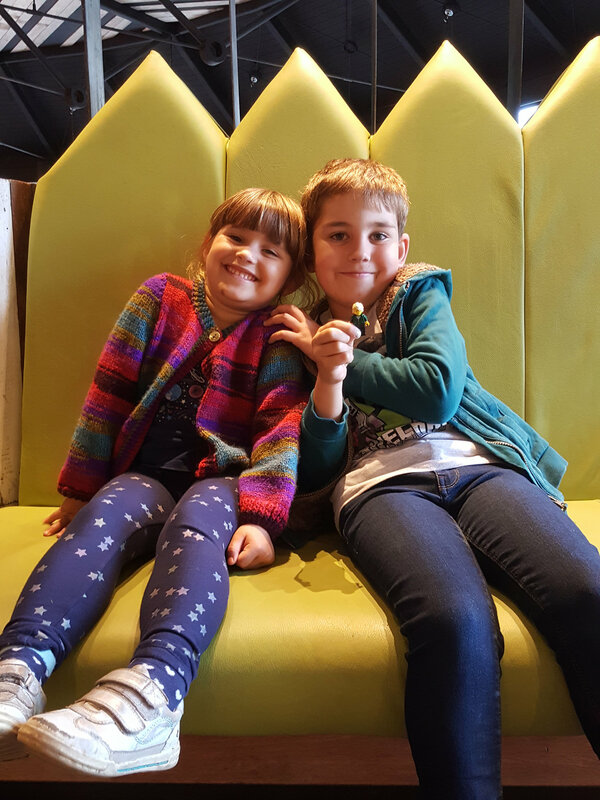 Matt was away for his birthday, so I promised Alex we’d go out for dinner with some friends as a little treat – he chose Nando’s. Here are my siblings waiting for their chums to arrive. They are so good together at the moment! 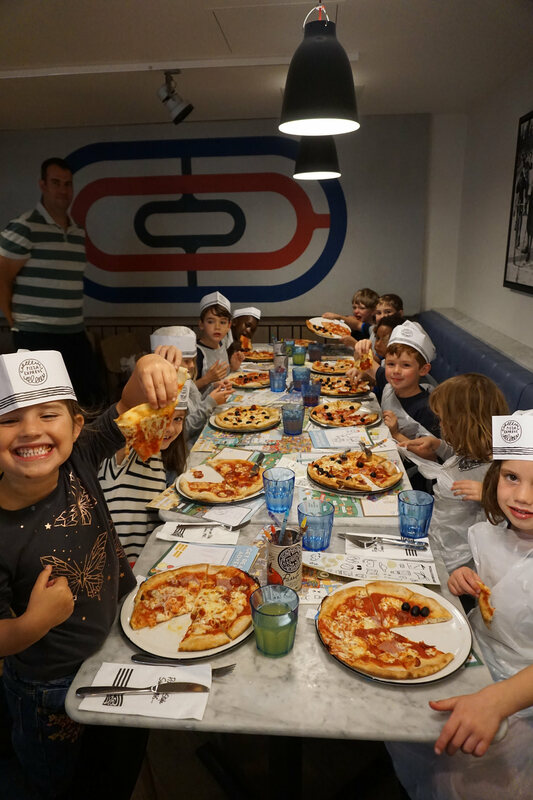 As I should’ve predicted, dinner on a school night was a pretty crazy affair, with everyone getting a little hyper and over excited, but they had a fabulous time together. Here’s the gang fuelled up on ice cream as we were leaving – not the best photo, but it does make me laugh! Sophie’s friend Una does not look impressed! 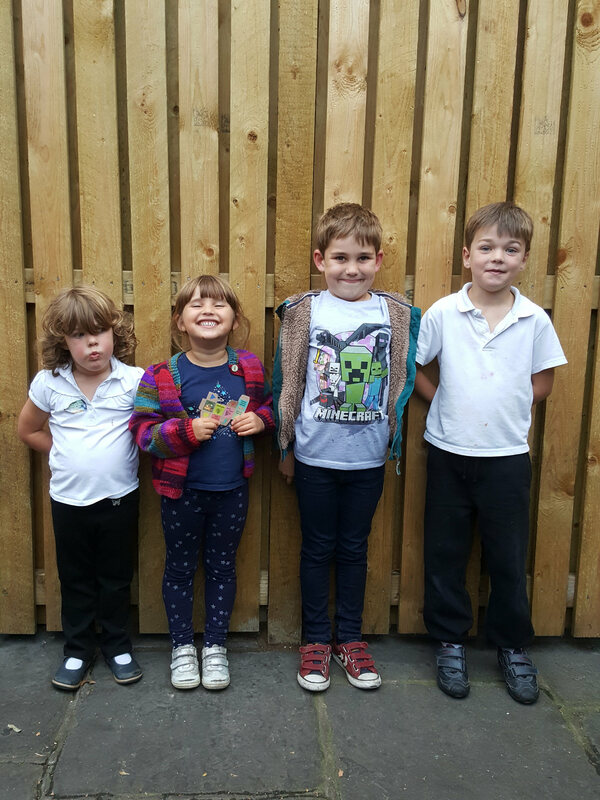 You can tell I force my kids to line up for photos all the time for the blog! 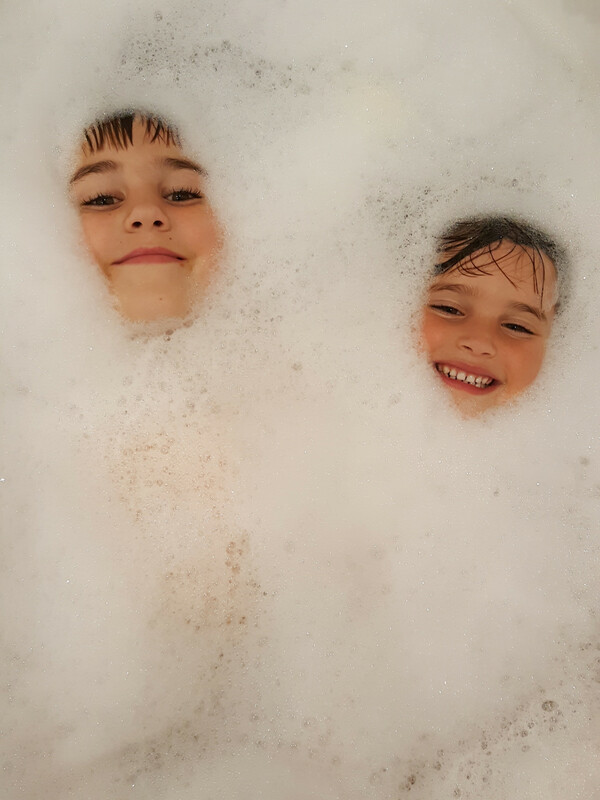 We ended Alex’s birthday with a long, and very bubbly bath giving me an opportunity to snap one of my fave photos for a while. They are so silly – I can’t get enough of them! I feel quite sad that Alex’s birthday is already over – he’s been anticipating it for so long, and it went by in a flash. I think he loved it though, and the amazing presents he received will be enjoyed for a long time. I’ve been looking back at some old blog posts and photographs of my little boy. He seems suddenly so grown up sometimes, and then I remember he is still so little. It’s been a challenging few months where his behaviour and emotions have been all over the place, and it breaks my heart when some people just see his naughty side. But I know he is such a happy, clever, inquisitive, friendly and caring little man. I’m so proud to be his mum and I can’t wait to see how he grows and changes this year. Here is is on all his birthdays. What a transformation! I love you Alex.